Riverchase Dermatology and Cosmetic Surgery is pleased to announce that Paula Campbell has joined the Riverchase team as their newest Laser Hair Removal Technician. Campbell works alongside the team at Spa Blue MD at Riverchase providing laser hair removal services to a variety of clients. Paula Campbell is a Certified Laser Hair Removal Technician, Electrologist, Medical Assistant and licensed Medical Aesthetician. 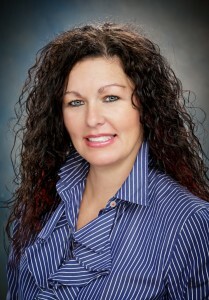 She has over 20 years of experience offering cosmetic and spa treatments to patients in both Wisconsin and Florida. Throughout her career, Campbell has gained experience in treating every skin and hair type. “I believe that every patient should look as good on the outside as they feel on the inside. I enjoy providing services that enhance every client’s outer beauty to match the inner beauty that naturally shines through,” says Campbell. Campbell is passionate about dermatology and aesthetics. She is dedicated to continuing education so that she can continue to provide quality service to all of her clients. To best serve her clients, she is diligent in staying up to date with the latest trends, products, and procedures in the medical cosmetic field. “I make sure to stay informed on the latest trends so that I can remain well equipped to serve every patient that I meet, no matter what their needs may be. I am excited to become a part of the team at Riverchase and to begin helping clients look their best,” Campbell adds.